Interaction between users is an important part of successful work. In order to enable users to leave comments on records of an entity or on details of an activity, other than a contact request (e.g. leave some additional details of task, comment on an email sent or a call made, etc.) use the “Add Comment” action. Comments are available for any activity or entity that has the Comments activity enabled. View page of a record the activity is related to. 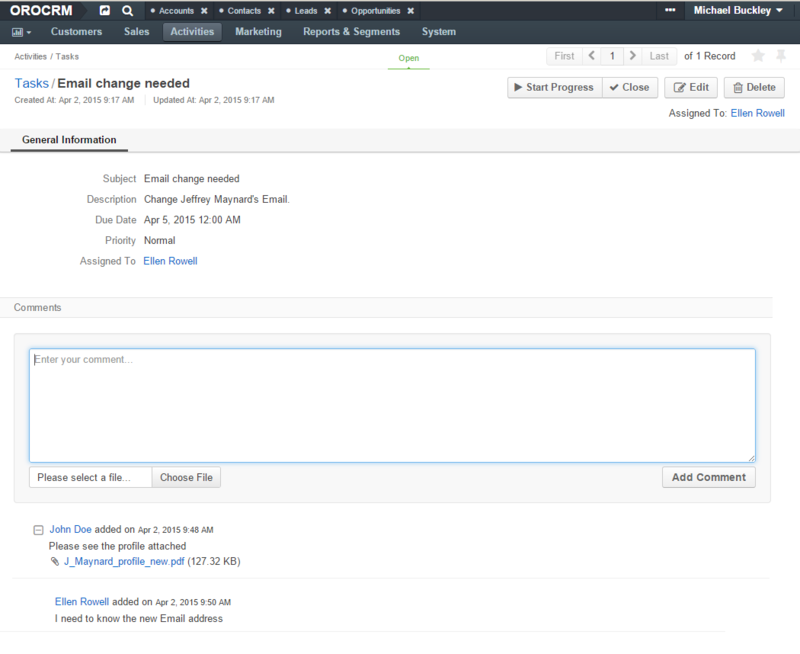 The ability to view and write comments depends on the permissions and role settings defined in the system for the Comment entity. Enter the comment into the the text-box. Click the Choose File button to add a file to the comments. Click the Add Comment button to save the comment. You can edit the Comment entity and add new fields, if required. For example, Ellen Rowel was a task “Email change needed”, which required her to change the email address of Mr. Jeffrey Maynard. First, Ellen Rowel opened the My Tasks grid. Then she went to the view page page of the task and left a comment. John Doe opened the task details on the View page of Jeffrey Maynard’s contact record. Then he left a comment and attached Maynard’s profile to it. Michael Buckley from the Marketing department opened the Tasks grid and opened the task View page. He can see both comments made by Ellen Rowel and John Doe. Case comments work in a similar manner, except there is an additional Make Public check box. 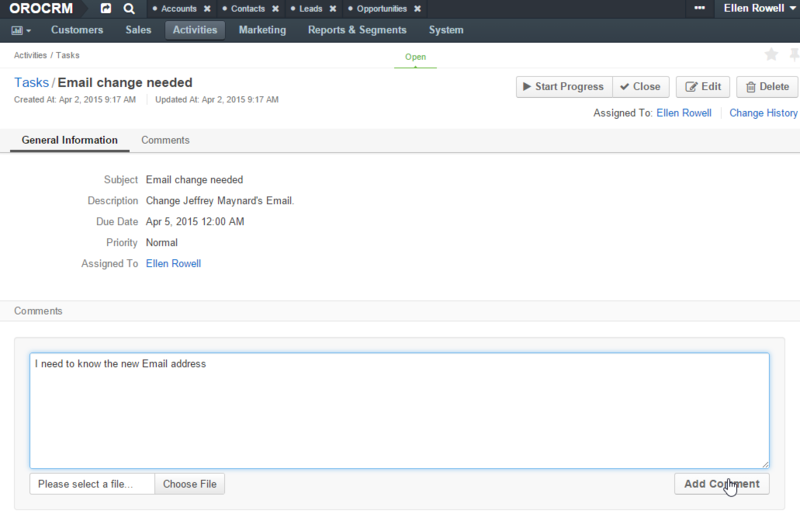 You can use it to define if the comment must be public on Zendesk.